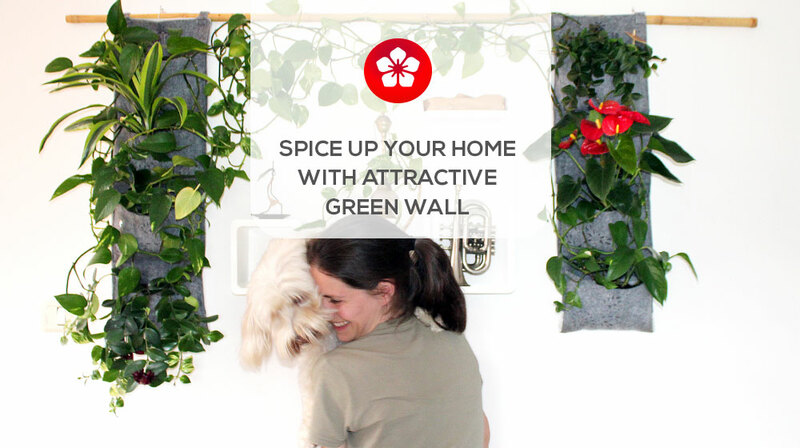 FLORIDEJA Green Up wall planters are made from felt, a light and permeable textile (polyester fibers), which allows the soil to breathe and your plants to grow healthy. Planters backs and bottoms are watertight - lined with tarp, that protects walls from moisture and prevents dripping. 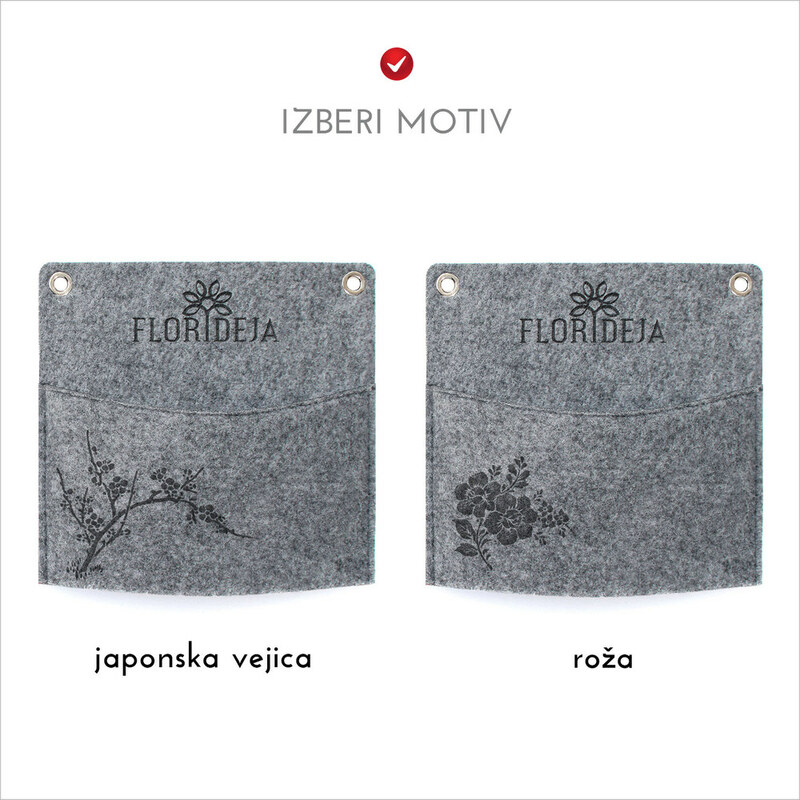 Florideja wall pocket planters are of course suitable for indoor and/or outdoor vertical gardening! - Innovative design. Quality handmade. Watertight! 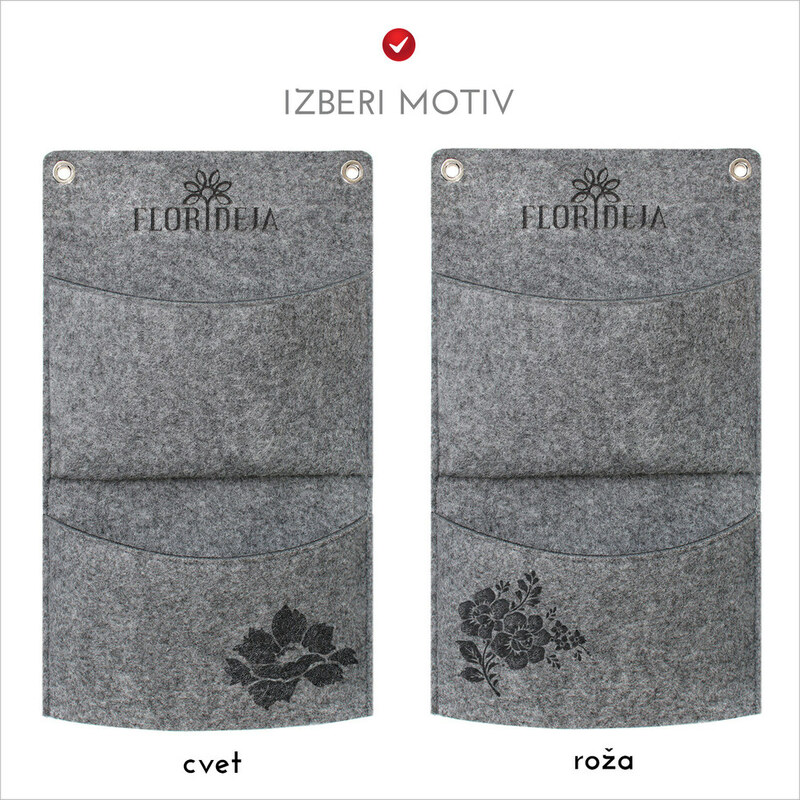 - Made to last: Florideja felt pockets don`t mold, don`t rot, don`t shrink nor stretch! - Washable in the washing machine. - Florideja pockets for vertical gardening are easily mounted to a wall or any other vertical surface, just use nails, screws, hooks, ropes, wires or cords, even suction cups come in handy! - No bending, no kneeling, no pest fighting and no weeding! - Florideja wall pocket planters are portable & modular, ideal for small spaces, apartments, balconies and fences! - Save space! Grow vertical & optimize space of your room, apartment, balcony or terrace. 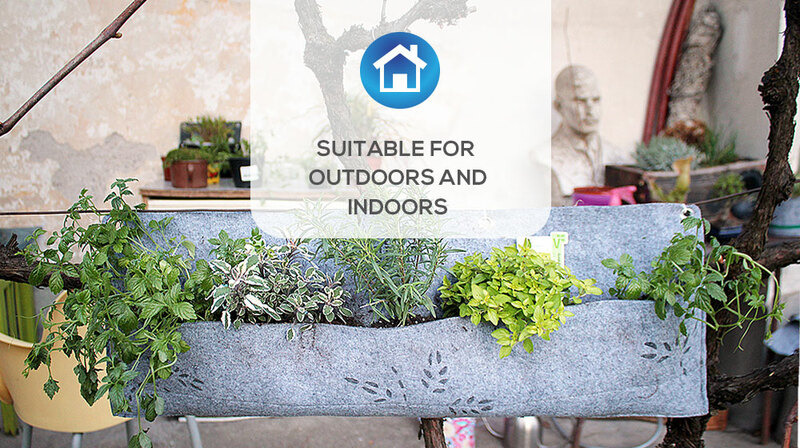 Ideal for those with no outdoor garden! - Save time! Vertical garden at hand in your living room, herbs at hand`s reach in your kitchen or balcony! - Innovative, sustainable design, quality handcrafted. 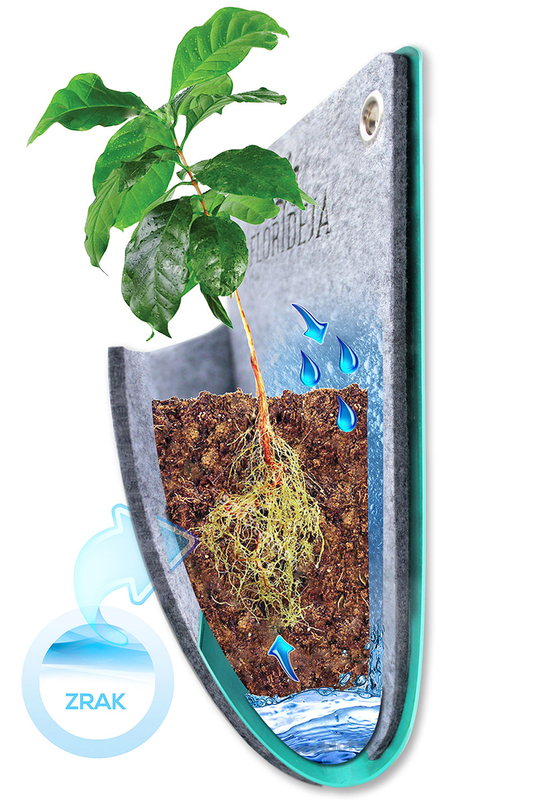 - Florideja planters don`t mold, don`t rot, don`t shrink nor stretch! 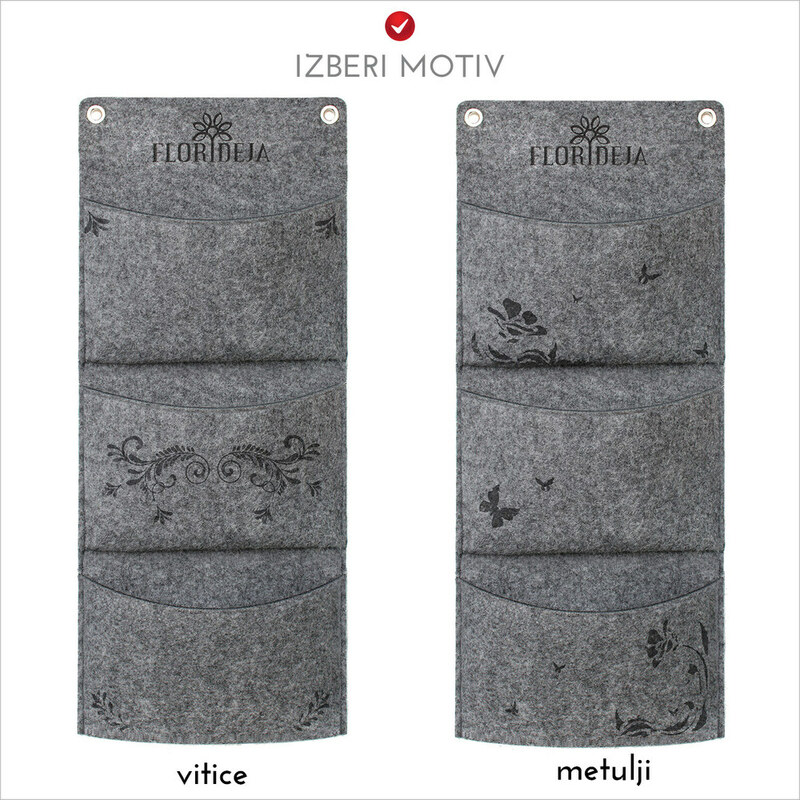 - Durable, robust, long lasting! 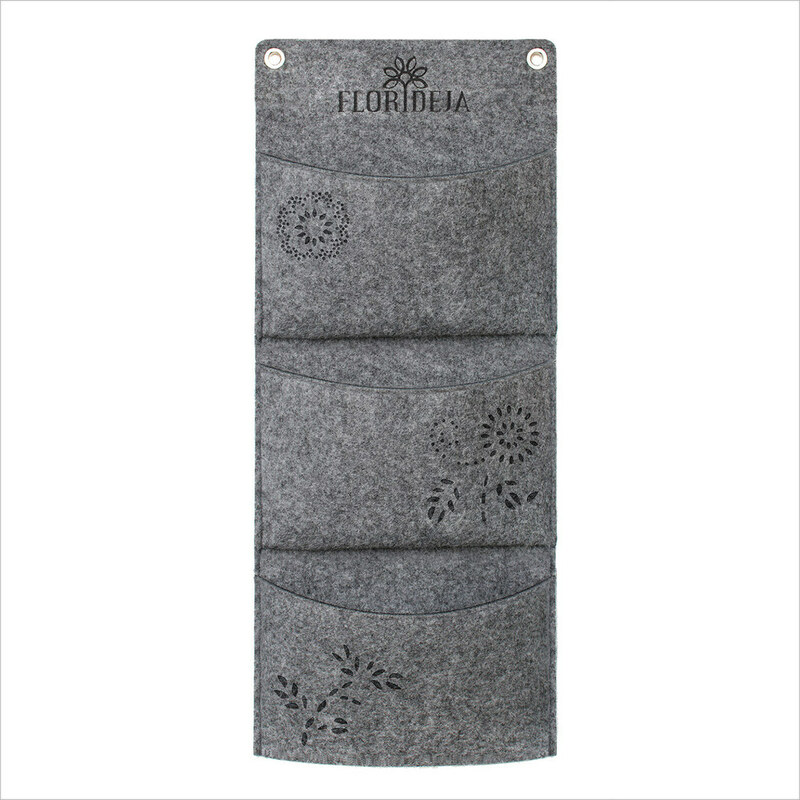 - Florideja pockets for vertical gardening are easily mounted onto a wall or any other vertical surface, just use nails, screws, hooks, ropes, wires or cords, even suction cups come in handy! Planters can be mounted onto any vertical surface, just use nails or screws. Using strings, they can also be hanged on balcony and terrace fence. 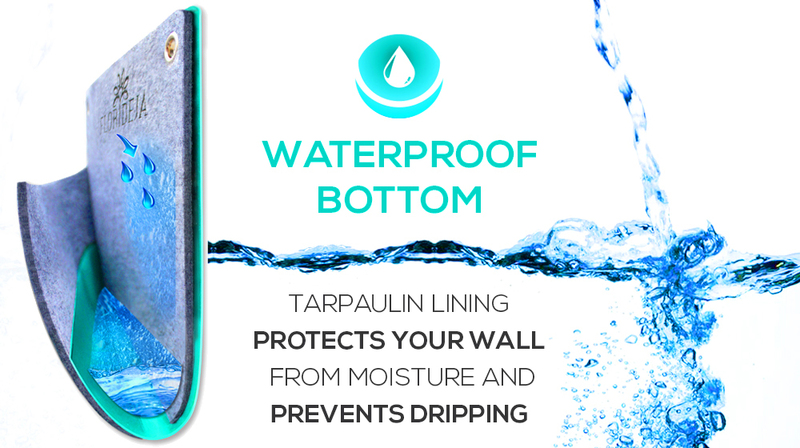 The waterproof tarp prevents dripage and protects wall from moisture. 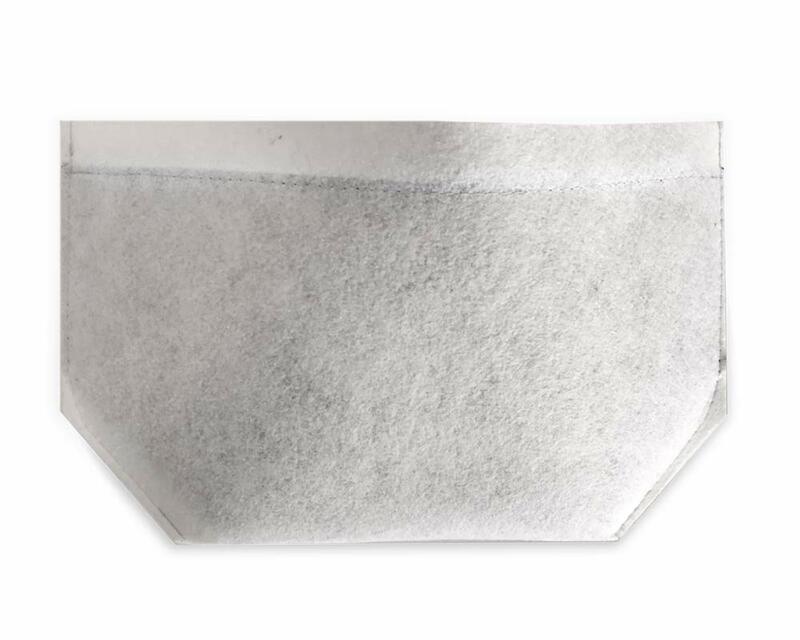 The porous front of the pocket enables excess water to evaporate, thus ensuring optimal root breathability and substrate moisture. The plant uses up water as needed from the moist felt and the bottom water canal. Florideja planters can be put together as modules into larger arrangements to green-up a whole wall in your bedroom, living room or kitchen corner. Growing in pockets keeps the plants safe from pets and out of reach of curious children. 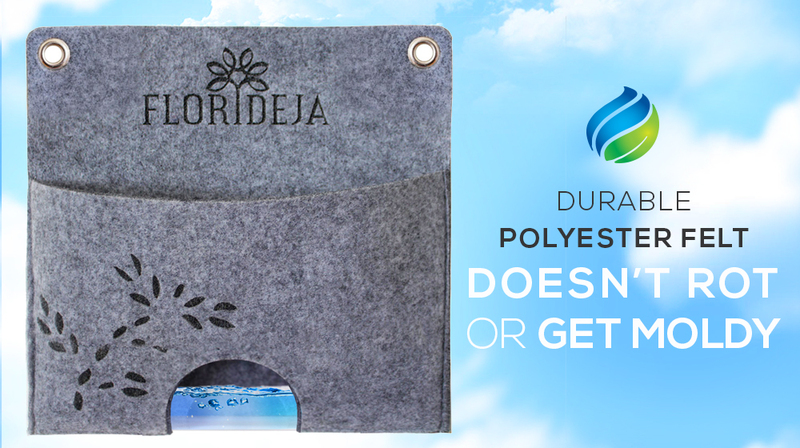 Pocket inserts come with all FLORIDEJA Green Up planters. Florideal information on selecting and caring for plants, pocket adjusting and transplanting. Simple and fast - your pocket is just a click away! 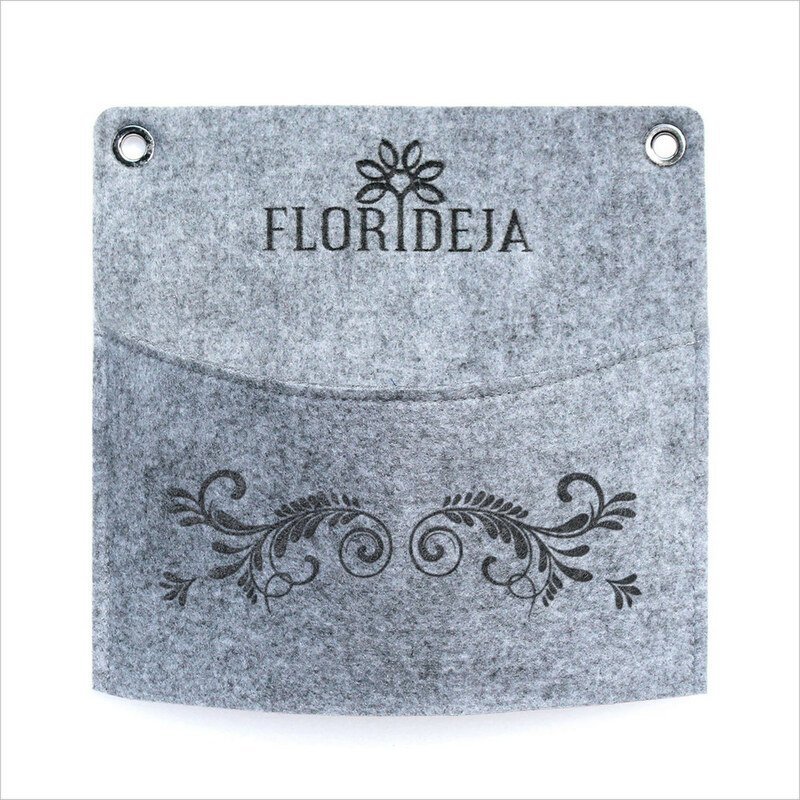 Check out Florideja’s wide range of products! Read more on plants, suitable for growing in pockets!